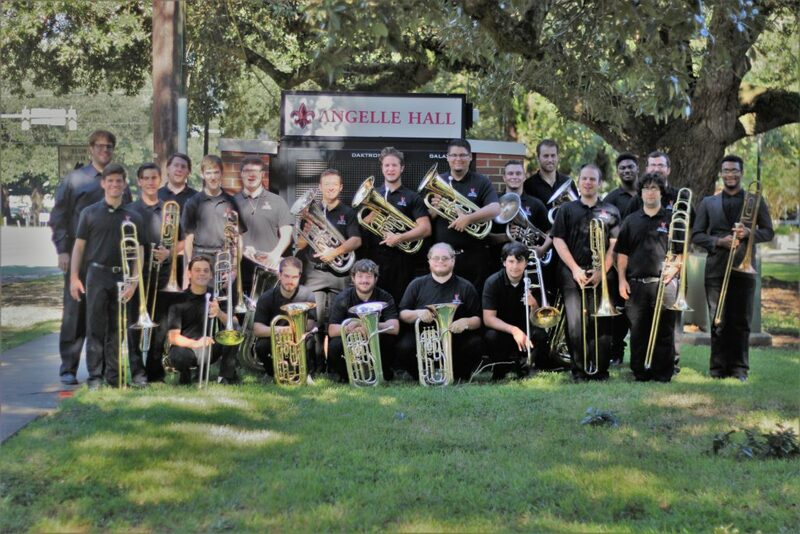 When students choose the University of Louisiana, Lafayette Trombone and Low Brass Studio, they gain experience through the undergraduate music degree that is the best of both a conservatory program and a large university environment. In the ULL Trombone and Low Brass Studio, students grow as musicians and as people. Students develop musicianship, technique, performance skills, and education pedagogy. All of this and more is in addition to the high-quality education the university provides as a whole. All trombone, euphonium, and tuba majors perform in the UL Lafayette Low Brass Ensemble under the direction of Dr. Benjamin Yates. The ensemble performs a wide variety of classical and jazz music in many settings across campus and the greater Lafayette community. The ensemble meets on Friday mornings for rehearsals and studio class. 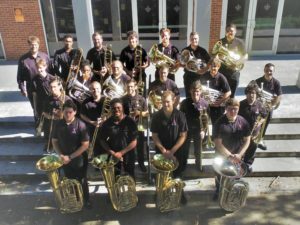 At various points in the semester the ensemble meets during week day evenings in rehearsals open to UL Lafayette non-major, high school student, and community member low brass players interested in performing on a community concert. If you are interested in performing with the ensemble, please contact Dr. Yates. The Low Brass Ensemble also regularly breaks into smaller ensembles, including trombone choir, trombone quartet, and tuba/euph ensemble. The ensembles perform for university events, at local schools, and for community events, including the Lafayette Showcase of Bands, OctoTuba, and Tuba Christmas events. 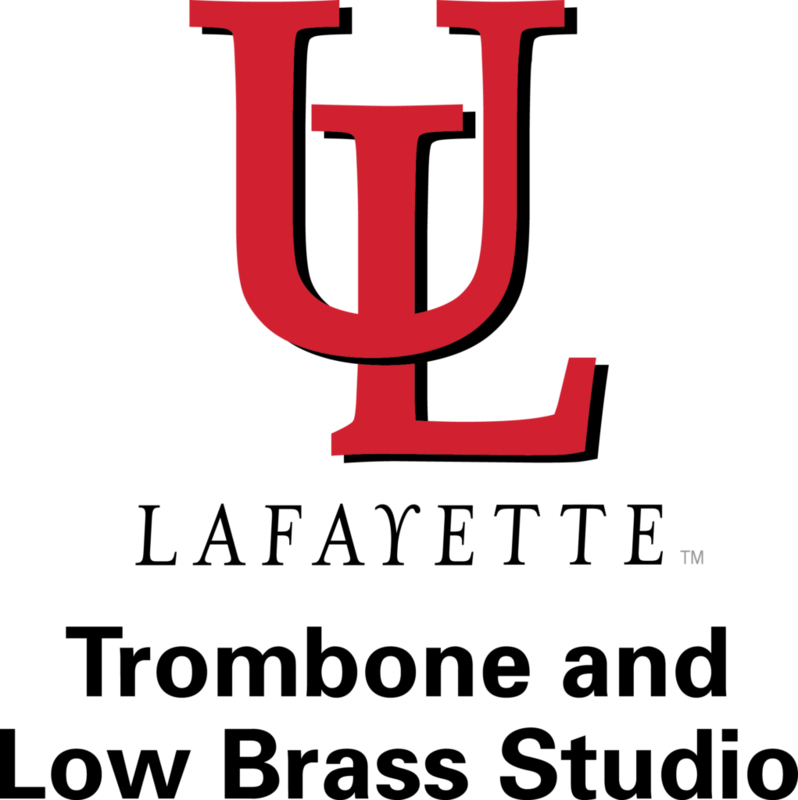 The Low Brass Ensemble provides the trombone and low brass studio at the University of Louisiana at Lafayette with an opportunity to learn chamber music skills, perform in front of studio and School of Music and Performing Arts colleagues, and interact with the greater Lafayette community. Please have audition prepared in bass clef. Students reading in B-flat treble clef will be assigned remedial level work until clef reading is proficient. Contact Dr. Benjamin Yates at benjamin.yates@louisiana.edu or here with questions about trombone and low brass auditions. Sample lessons are available for any high school student seriously interesting in studying trombone, euphonium, or tuba at the University of Louisiana, Lafayette. Interested students should contact Dr. Yates to set up a lesson time. For students not in the Lafayette area, sample Skype and FaceTime lessons are also available. Music educators who are interested in setting up free low brass master classes, performances, or clinics can contact Dr. Yates for available dates.